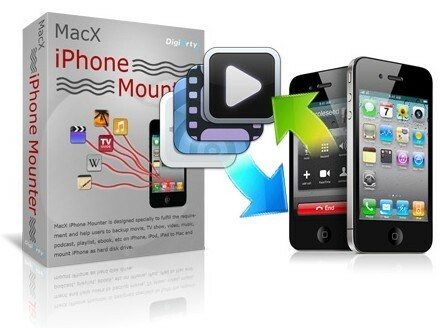 MacX iPhone mounter is an excellent transfer and backup tool combining iPad Transfer, iPod Transfer and iPhone Transfer. It is designed to help users to transfer, backup and share videos, music, movies, TV show, podcase, ebook, photos (including iTunes purchased files, photos and videos shot) and anything you like between iPad/iPhone/iPod and Mac easily with a single drag. This portable utility saves time and frees you from the hassle of transferring all the iTunes data manually to some other system. 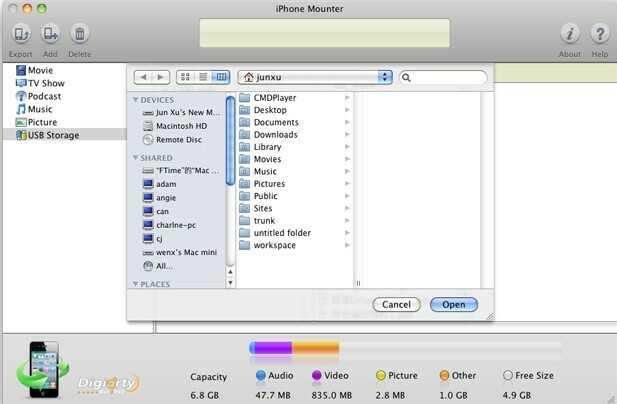 MacX iPhone mounter requires Mac OS X 10.5 – 10.6, and supports most of the latest iOS 4.2, iOS 4.3 devices including iPhone, iPhone (3G), iPhone 3GS, iPhone 4, CDMA iPhone 4, iPad, iPad 2, iPod 1G, iPod 2G, iPod 3G, iPod 4G, iPod classic, iPod mini, iPod nano, iPod shuffle, iPod touch and iPod Video. 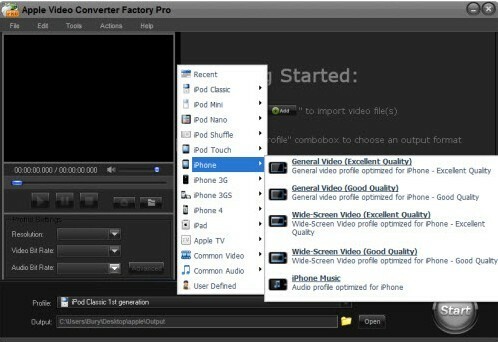 Mount iPhone, iPod, iPad as Portable devices to export files on Mac to anywhere you want. The original price of MacX iPhone Mounter is $25.95 (USD). But now, in cooperation with Digiarty Software (developer of MacX iPhone Mounter and sponsor of this giveaway), we can offer 20 license code to activate the Full Version of MacX iPhone Mounter, worth over $519! 1, Subscribing to Our blog via email or via Rss. 2, Tweet or share this post. 3, Then write a comment in this post. I will sent you the license code in 24 hours after you leave a comment. The Giveaway will end when all the license codes have been given out, or on May 10. 2011. Please note that the license code should be used before May 10. 2011, Once the program has been activated, it could be used and kept without any function limitation as long as you don’t reinstall the system. And there will no free upgrade for giveaway version. At last, Thanks Sarah from Digiarty Software. 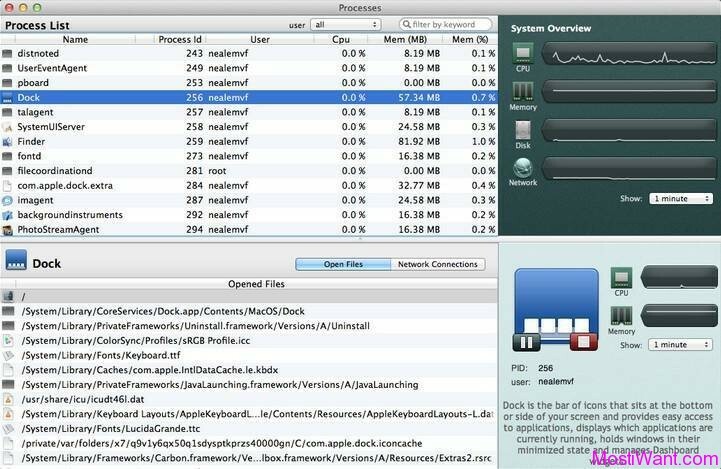 Nice software for using in a Mac OS. @Maddy: Your free license code have been sent to your email. Please check for it. With best regards.